DragonFlyBSD 3.6.0 CD (32-Bit) | Linux DVD Shop - UK Linux Shop supplying Linux on CD, DVD and USB with Free UK Delivery, 24Hr Dispatch. 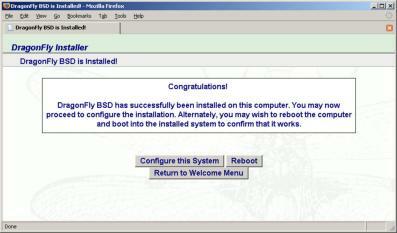 DragonflyBSD 3.6.0 is a Live CD that can also be fully installed to your hard drive. A huge number of bug fixes, performance improvements, and design changes have been made since the 1.0A release creating a full stable, secure operating system.